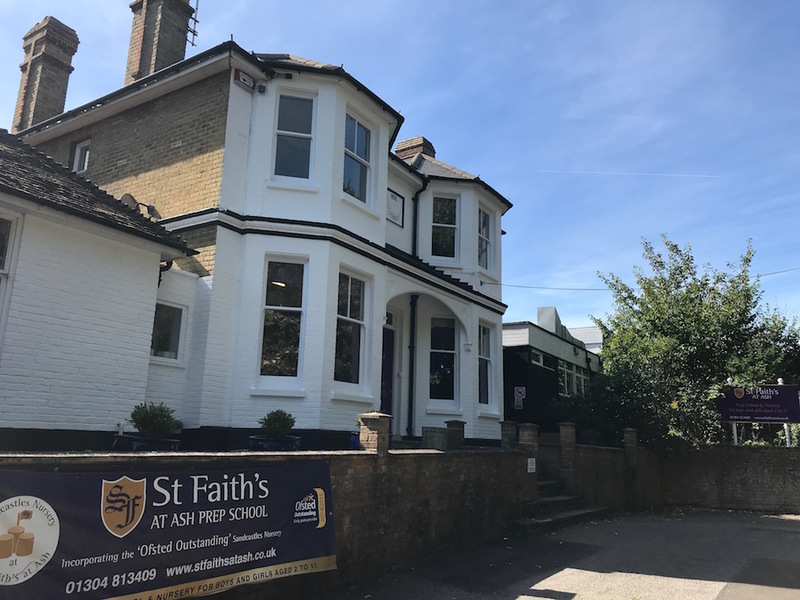 St Faith’s is a day prep school, sitting just outside Sandwich, 4 miles from the sea and perfectly positioned for those around Canterbury, Sandwich, Deal and Ramsgate (or further if you don’t mind the drive). 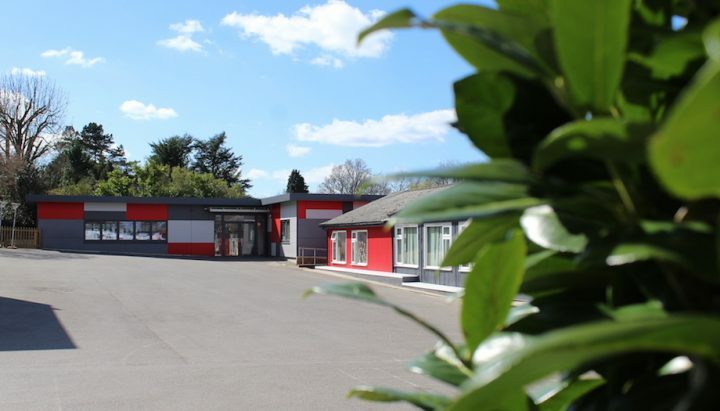 Co-educational with pretty much 50/50 boy/girl split with 260 pupils this year – just about capacity – the school sits in the middle of Ash village and opens up, Tardis-like, at the back to reveal a wonderful green play area on one side, a Nature Garden on the other and beautiful stretching view in the distance. If you like your schools with a feeling of informality and intimacy, you’re in the right place. 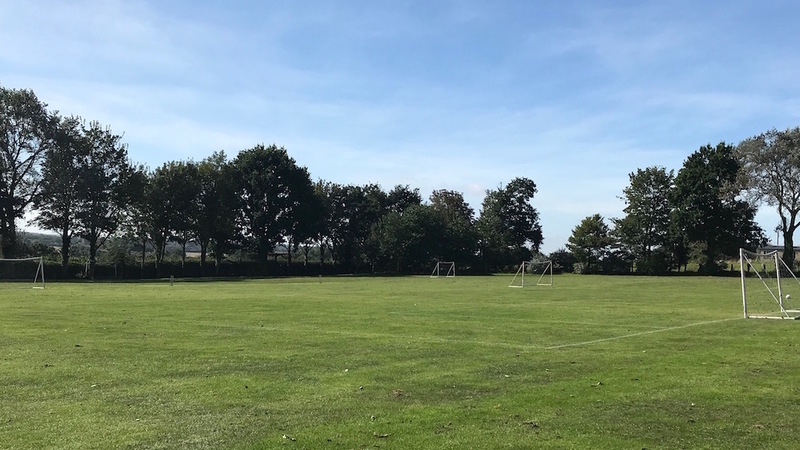 It’s a 4.5 acre site, which is admittedly smaller than some of the sweeping prep school grounds you come across but plenty big enough to provide all the facilities children this age need. 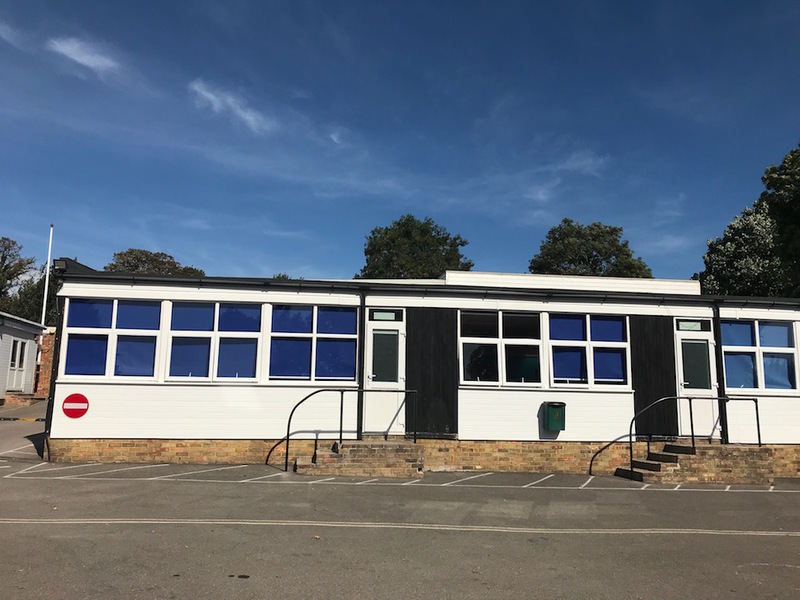 The classroom buildings are purpose built blocks and aren’t particularly flash to look at – but with the most wonderful atmosphere, excellent sports and really strong exam results, (class sizes of no more than 18) and hugely competitive school fees, St Faith’s Prep has plenty of its own appeal. Sitting at the back of the school are green playing fields and I witnessed myself just how the children make good use of these facilities. And the school is rightfully very proud of it’s sporting achivement, being the only school where both girls and boys teams have won the much-sought after McCarthy Football Cup. Some play tennis for the Kent team. They enter every competition going (not just sport, but everything else from debating, spelling and music) and seem to win a lot of them. The school also makes use of the fact that Sandwich Bay is only 4 miles away – playing an important role in the local community – they were in the middle of organising a beach clean when I visited. …and another for P.E. (pictured above). There’s also an outdoor, fully heated swimming pool (don’t mind if I do). If you’ve ever visited this area of Kent you might have noticed that it has a sunny, micro-climate all of its own so there’s several months of the year when the pool is fully functional. LAMDA is popular, as is choir (and there’s Chamber Choir for the really talented singers – by invitation only). Music is also strong here – 130 pupils (so half of all students) take individual music lessons. All children learn the recorder in Y1 and Y2, violin in Y3 & Y4 and trumpet in Y5 & Y6. That’s an amazing degree of exposure to musical instruments that your child might just take to. As someone with a naturally musical daughter, who’s not particularly proactive, I think this is brilliant. St Faith’s Prep makes no bones about the fact that it prepares its students for the next stage of their academic life, whatever route that might be. 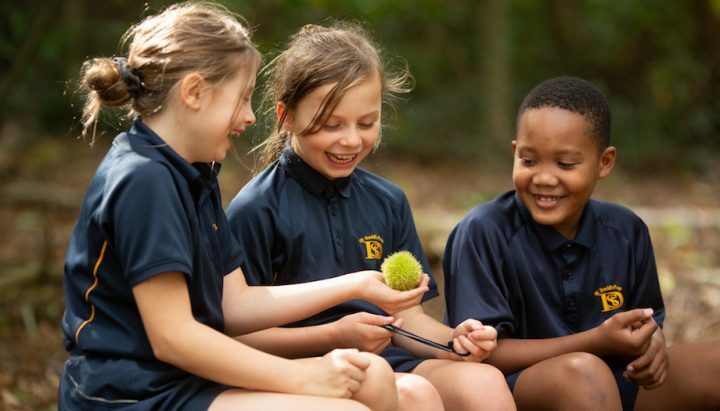 As a result, children gain places to the region’s top independent schools and regularly, over 90 per cent of the children take the Kent Test and out of them around 90 per cent pass it. This region of Kent is rich-pickings for grammar school options. Many St Faith’s students go on to Manwood School, the co-educational grammar school with academy status located in Sandwich. There’s also the well respected Simon Langton Grammar School for Boys (known as The Langton) in Canterbury. Or there’s Dover Grammar School for Boys and Dover Grammar School for Girls just up the road. Of those that stayed in the independent school system, seven Y6 students achieved major scholarships last year (2017). 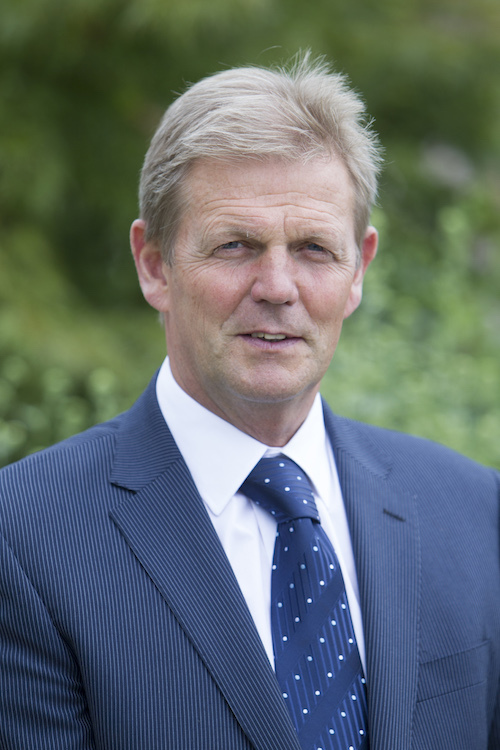 Mr Lawrence Groves is an experienced skipper who already had 3 headships under his belt before he joined the school in 2012. It’s very much a family run school and Mr Groves wife, Helen Groves, greets me in the office. Full of enthusiasm for his job, he has a very relaxed, friendly relationship with the pupils (one of the most genuine I’ve ever witnessed) yet the children are absolutely respectful and polite in return. An accomplished sportsman in his day, Mr Groves achieved county colours in rugby, badminton and cross country and had many happy years as a PE teacher. 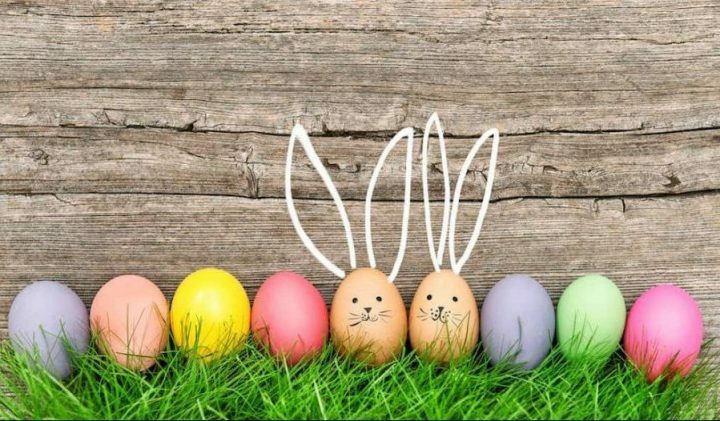 Clearly popular with the pupils, he teaches throughout all year groups, starting in the Nursery to ensure that even the youngest children get to know him (and their parents). 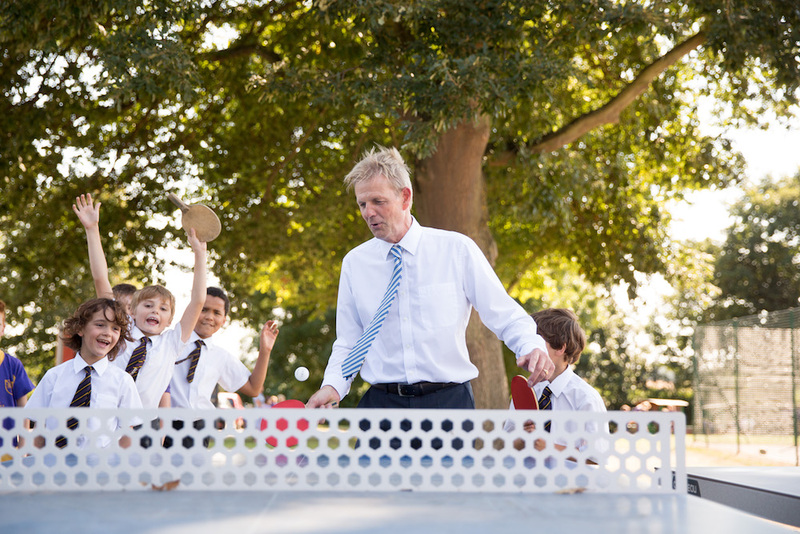 As we tour the school the younger children all want to greet him with a hug as he passes, the older children want to challenge him to a table tennis match, which is something of a school tradition. He’s happy to play them during lunch breaks – beat the head and you win a coveted Golden Ball. 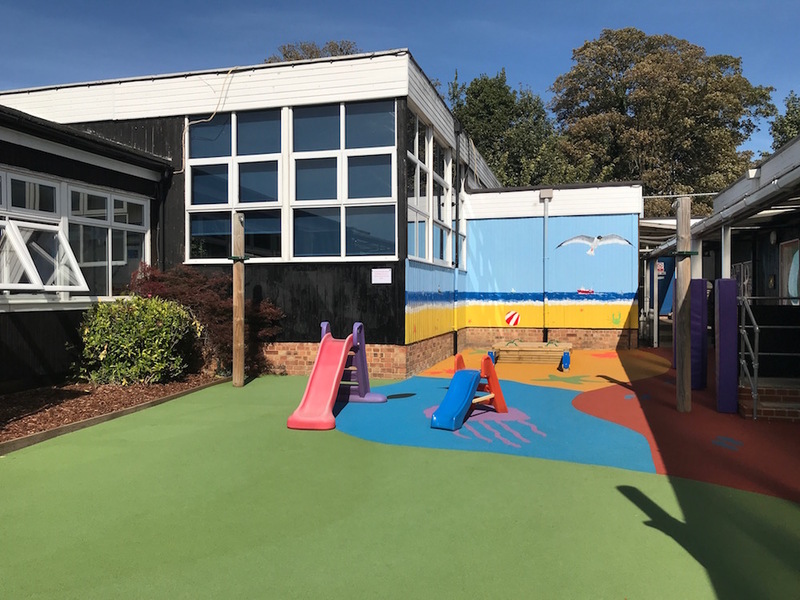 Little people can start at 2 years in Sandcastles Nursery which is divided into three rooms finishing with Starfish Room which starts to prepare children for the transition into Reception. 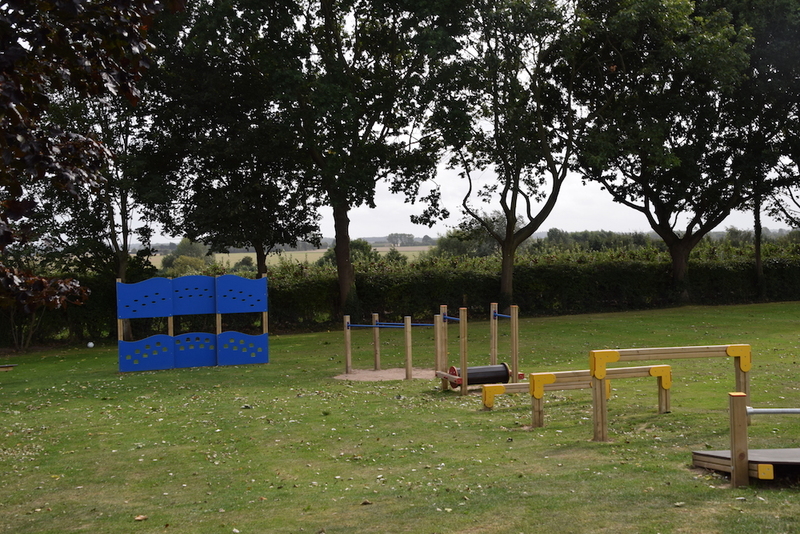 All the rooms are spacious, bright and with the usual equipment, lots of role play and building equipment. 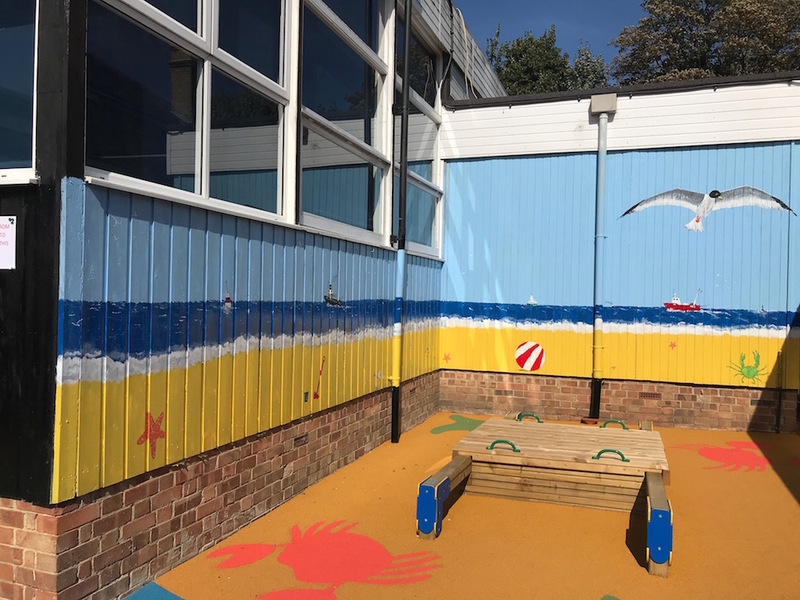 Outside is a sunny play area complete with seaside painted walls and new soft flooring. 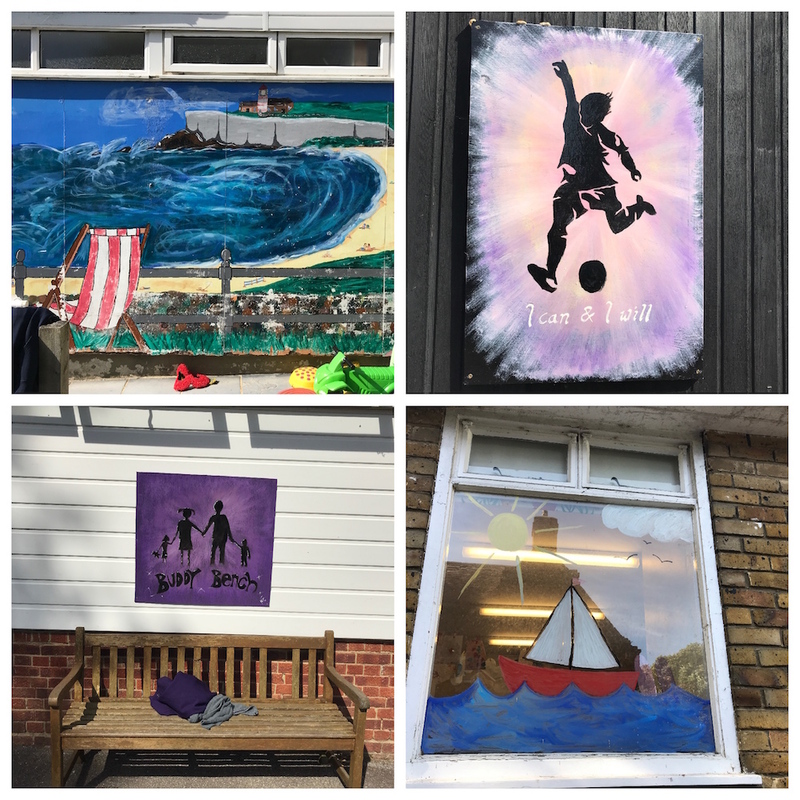 Being near the sea there’s lots of beachside touches around the school – like whole walls which have been lovingly painted in a seascape by the care-taker. There’s also a lot of referrences to the popular school motto ‘I can and I will’ (which is as unpretentious as the school.) No Latin here, simple and effective. Early Club is open from 8am. 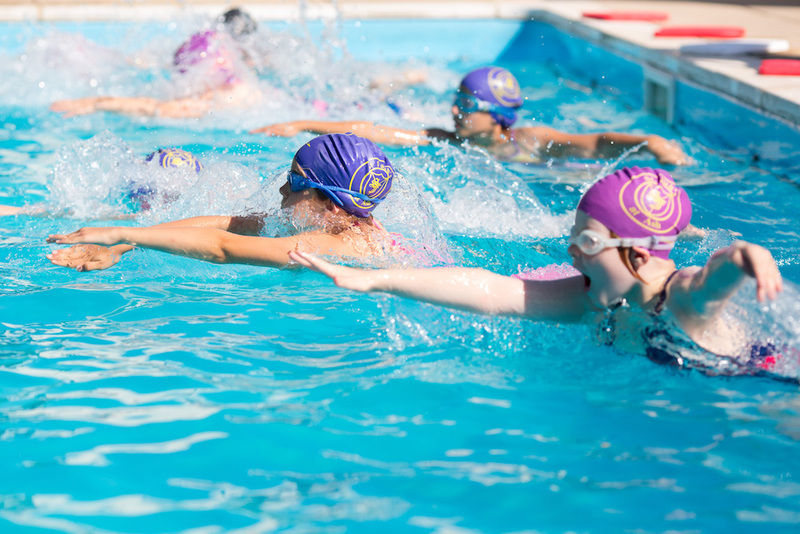 Activity Clubs normally run between 4.00pm and 5.15pm. After School Club is available for all children until 5.30pm. The mums I’ve talked to have really rated it, and it definitely has a very upbeat, ‘can-do’ aura (see school motto above). 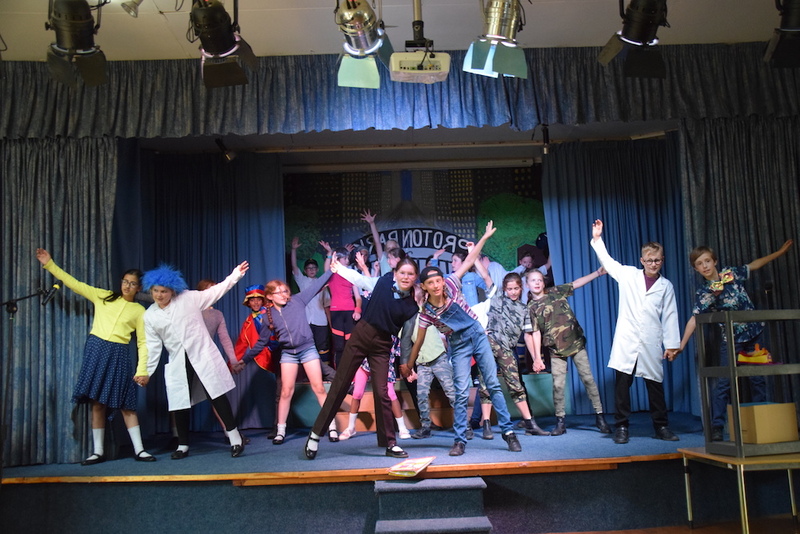 Feedback is that the children are unpretentious and wonderfully friendly – manners and behaviour are amazing. The parents, like the children, are equally down-to-earth and hard working. Just over half the price of some local preps. Reception prior to 5th birthday, £1740; Reception after 5th birthday, £2535; Year 1, £2700; Year 2, £2810; Years 3 & 4, £3070; Years, 5 & 6 £3175. Good for: Well-rounded and grounded kids. The vibe is informal and friendly, but academically strong – not an easy mix to pull off. The sport, drama and music successes here are testament that you don’t need super swanky facilities to get results and participation. 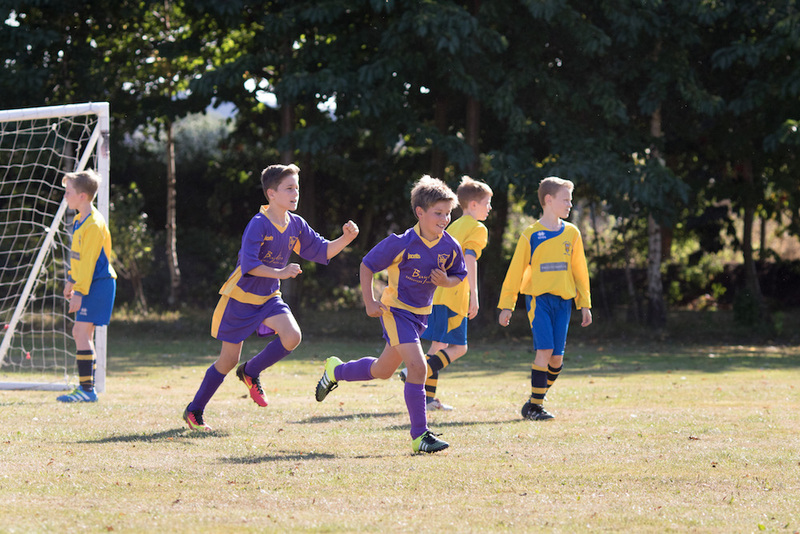 There’s a sense of really belonging and children play hard and work hard. If you’re looking to move down from London or elsewhere in the UK and want to set your child up for a good grammar school, this could be a great choice. 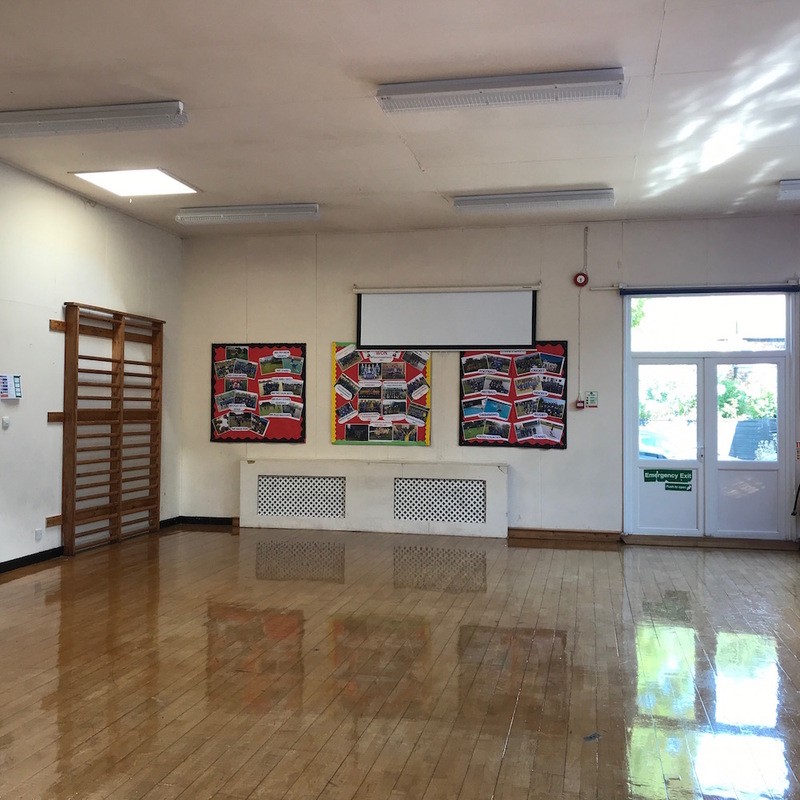 Not for: Those who require full-boarding, a town location, a larger school cohort, or parents who prefer a more ‘starchy’ or edgy approach to schooling – you’ll either love or hate the unapologetic wholesomeness of the place. No sweeping grounds and mansion-like buildings to slap on the front of a prospectus but that also means no eye-watering upkeep costs so the fees here are really good value for the environment, opportunities and academic results you get. Dare to disagree?! Have a look for yourself at the Open Day, Saturday 13 October 2018, 10am – 1pm.